A quick browse of Amazon, eBay, Halfords or Maplin will reveal an exhaustive supply of pocket-size, affordable gadgets that can take music from a modern smartphone and play it through an old car sound system. For example, the best-selling type of device at Halfords is a cassette adapter, made by Belkin. It looks like a tape cassette with a headphone wire attachment – because that’s effectively what it is. It plugs into any smartphone or MP3 player with an ‘Aux-in’ or headphone socket. The cassette then inserts into the stereo’s cassette player (it’s compatible with front or side-loading units). Thanks to the magic of technology your old car is then able to play your digital music collection. For just £13, and with a lifetime warranty, it’s possibly the best value music playing device drivers could own. Again, an online search will reveal any number of small, smart accessories that enable digital music streaming through an old car’s sound system. But a word of advice: always check the suitability with your make and model of smartphone. Most do this using a combination of Bluetooth data streaming and the radio’s FM frequency. It sounds complicated but the units are surprisingly affordable. For example, Amazon’s best-selling product with the highest customer rating is the VicTsing Wireless Radio Adapter, which costs £16.99. It’s powered by the 12-volt cigarette lighter socket, and has a digital screen that can be rotated to face the driver or passenger. Impressively, the VicTsing can do more than stream digital music from a smartphone or MP3 player. It comes with voice recognition technology, so drivers can change tracks without taking their hands off the steering wheel. It’s also able to turn your old radio into a speaker system for a phone, so drivers can make hands-free calls. 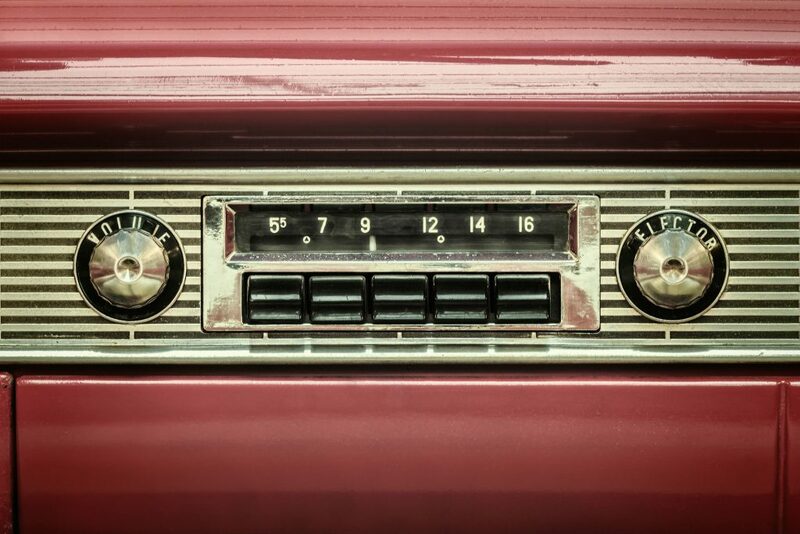 Drivers who aren’t concerned with maintaining the original fixtures and fittings of any old or classic car could consider having the stereo system upgraded to a digital unit. It’s a more expensive approach, but it gives a finished look to the dashboard. It also means you don’t have gizmos plugged in to the 12v socket, which could be put to good use powering something else. Prices start from less than £40. That buys something from Pioneer or JVC that will offer FM and MW radio. In addition there’s a simple USB cable port. This enables a smartphone or MP3 device to plug n’ play music. Spend a little more, over £70, and you could afford a DAB digital radio player than can also be plugged into a smartphone or music player.